Real estate company Bricks Developers Ltd. launched their first Rs. 1.8 billion luxury apartment complex this week, targeting high-end buyers. 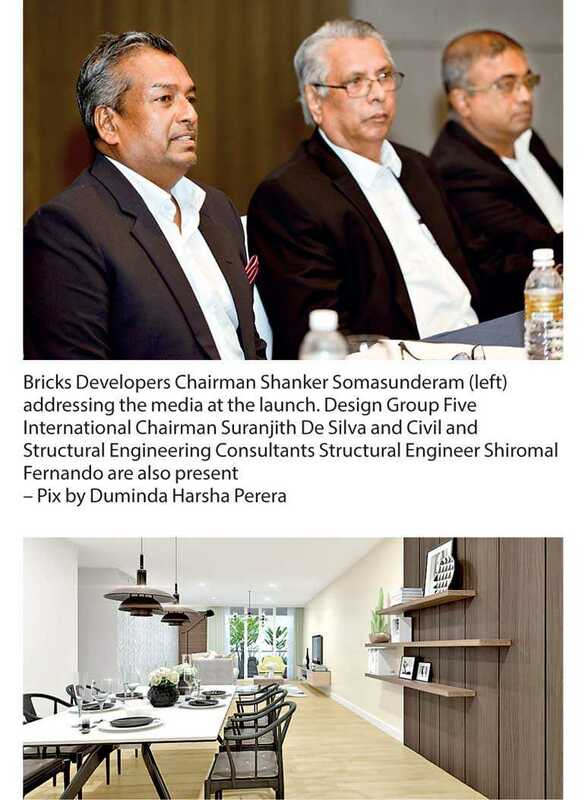 Speaking at the ‘Thurstan 42’ launch, Bricks Developers Chairman Shanker Somasunderam insisted that demand in the real estate market in Colombo remained strong, and expressed optimism about increasing luxury apartments and office spaces in the capital. “We have invested approximately Rs. 1.8 billion in the Thurstan 42 project, which is expected to be completed by March 2020 and will give the finest choice of living a luxurious lifestyle in Colombo city to the customers,” he added. Bricks Developers ventured into its new project, Thurstan 42, with Zhongtian Dinghui Investment Company Ltd., Civil and Structural Engineering Consultants, N and A Engineering Consultant, and Design Group Five International. Thurstan 42 is walking distance from hospitals, shopping malls, supermarkets, hotels, restaurants, cafés, and top schools in Colombo, including Royal College, Ladies’ College, Thurstan College, Colombo International School, St. Bridget’s Convent, Wycherley International, and Stafford International. Pointing out that the construction industry contributes over 10% of Sri Lanka’s GDP, Somasunderam was upbeat about the opportunities in the sector. He insisted the Company’s main objective is to increase the construction quality of buildings and to capitalise available opportunities in the rapidly growing industry. 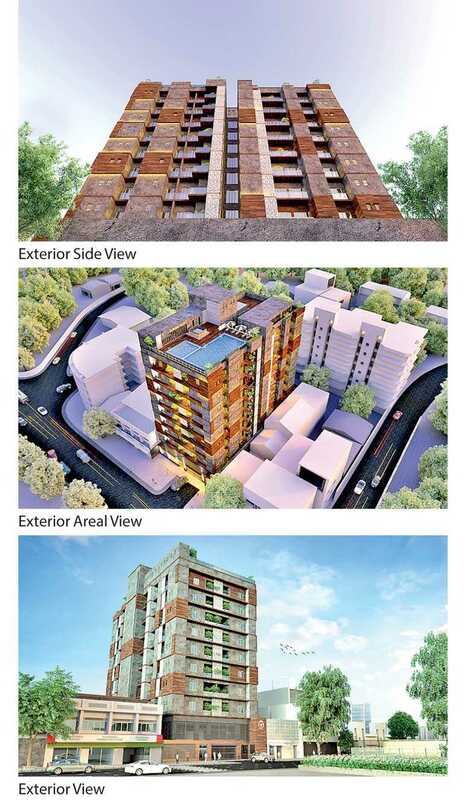 “Bricks Developers is fully committed to enhance the growth of property development in Sri Lanka, since there is an increasing demand for apartments and office spaces in Colombo. We have earmarked properties to develop more apartments and office space in Colombo,” he added. The cost of an apartment at Thurstan 42 starts from Rs. 62 million, which will also have an air-conditioned banquet hall with a terrace which hold up to 100 guests, fire protection systems, 24-hour security services, garbage disposal options, three phase electricity, 100% power back-up, swimming pool, Jacuzzis, fully equipped gym, centralised gas supply, electric car charging points, and three floors especially reserved for dual car park facilities. Project architect, Design Group Five International Chairman Suranjith De Silva said the focus was promoting green construction, enabling environmentally friendly options that would be both cost effective and design-friendly. De Silva highlighted the ventilation system used for the apartments that enabled interior spaces to be cooled without air-conditioning. The Thurstan 42 high-rise is located at No. 42, Thurstan Road, Kollupitiya. The complex is a 12-storey building that would consist of 32 units designed using standard European fittings with three bedrooms in four unique designs. Each apartment is approximately 1,550-1,710 sq. ft. on a 42-perch land.